ROCKETS Class… This is a class for GIRLS & BOYS, ages 10 – 12 starting their golf career. A focus FUNdamentals of the Golf Swing, Around the Green & Putting. This class will prepare new golfers with the basic skills to enjoy the game and get on the course. 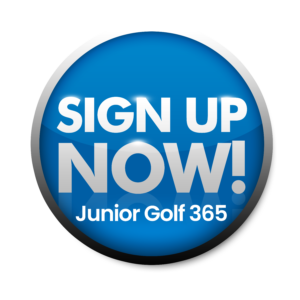 JuniorGolf 365 is an award winning program with a Fundamental Movement & Golf Skills curriculum with a PLAY Element added ( Alpha Tour ). Game Based Learning Style built around a guided discovery approach. Games are used to keep the class fast-paced & FUN, mixing in modeling coaching of the basic golf skills. Each Session is 4 Class and Students must sign up for each session to attend. NO SHOW Fee will be charged is Junior Golfer is signed up for a class and does not attend. $ 50 NO SHOW FEE. *Tuition for a Session will be charged ( or paid ) on the first week of each session – if a student cannot make their class, they may attend another classes on another day to make up for their missed class within the same month. Please let your coach know if you what class you will be attending for their missed class.